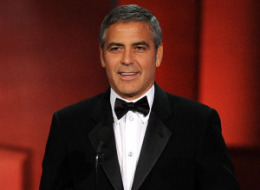 Clooney, who said "we really failed and he hoped someone out there would try to continue to help". When presented the Humanitarian Award 2010 he communicated how important our work is in helping disaster victims throughout the world, and stressed that we need to continue our efforts to make a difference. On a lighter note he said he was please to be given the Bob Hope award because he used to sit around Bob's livingroom with his aunt Rosemary Clooney when he was a kid and loved Mr. and Mrs. Hope and all the good they did for others. Hot on the heels of her captivating World Cup performance, Shakira has announced her 2010 global tour and her highly anticipated return to North America. The global tour will make a stop at the Santa Barbara Bowl on Wednesday, October 20th. TEMECULA (August 26, 2010) - Southern California's wine country plays host to the 16th Annual Temecula Valley International Film & Music Festival, September 15-19, 2010 with 150 film screenings, a two-day music festival, film and music industry workshops and celebrity studded parties. Hotel packages beginning at $99 per night are available and include world-class golfing, vineyard tours, hot air ballooning, spas and shopping. Hollywood glamour meets wine country casual during the five day event. Mix among celebrities and Hollywood movers and shakers while basking in the Mediterranean climate and sunshine of the beautiful Temecula Valley. Films will be shown at the state of the art Movie Experience multiplex in the Tower Plaza Center. Groove to concerts all day Friday and Saturday at the center while sipping local wines. Film fans, budding filmmakers and aspiring musicians can get insight into the entertainment business at workshops led by industry insiders. The Black Tie Gala on Sunday, September 19 will be a celebrity studded affair honoring icons of the film and music business. Pop icon Kenny Loggins ("Footloose," "This Is It") will receive the Outstanding Career Achievement Award in Music at this year's gala. Other honorees will soon be announced. Tickets are $100. Wine and champagne will be provided by Monte De Oro Winery and Wilson Creek Winery. Past recipients include musicians Ray Charles, Smokey Robinson and Dionne Warwick; actors Michael York (AUSTIN POWERS), Lucas Grabeel (HIGH SCHOOL MUSICAL), Gena Rowlands (THE NOTEBOOK), Dennis Haysbert (24), William Shatner (STAR TREK), and Natasha Henstridge (SPECIES); directors Robert Wise (THE SOUND OF MUSIC, WEST SIDE STORY), John Badham (SATURDAY NIGHT FEVER) and Andy Fickman (RACE TO WITCH MOUNTAIN); producer Lucas Foster (MR. & MRS. SMITH, MAN ON FIRE); and composers John Debney (PASSION OF THE CHRIST, IRON MAN 2) and John Ottman (SUPERMAN RETURNS, THE USUAL SUSPECTS). Temecula Valley is nearly equidistant from Los Angeles, Orange County and San Diego, California. Outdoor enthusiasts can soar over the hills in a hot air balloon, golf and cycle. In Old Town Temecula, stroll the wooden boardwalks of the 1880s district while browsing specialty boutiques, antique stores, restaurants and art galleries. Lady Luck waits at the Four Diamond Pechanga Resort & Casino. Summer of Fun Package - Mid-week stay for two with more than $80 in special offers throughout the Pechanga Resort & Casino starting at $99. Special offers include two poolside drinks, $10 EasyPlay� for slot or table games play, 2 for 1 admission to The Comedy Club, $15 off any 50-minute or longer service at Spa Pechanga and complimentary dessert with purchase of entr�e at the Seafood Grotto. Golf, spa and balloon ride options are also available. Stay and Play Golf Package at Embassy Suites in Temecula - Hotel stay for two and a round of golf for two at Crosscreek Golf Course. Green fees, cart rental, a sleeve of golf balls and a divot repair kit are included. Experience a romanticized version of a vintner's lifestyle at the South Coast Winery Resort & Spa. The Up, Up and Getaway Package offers a luxurious villa with no common walls, a bottle of wine, a fireplace, spa tub and a peaceful terrace tucked away in the vineyards. In the morning, a balloon ride for 2 awaits with a champagne toast continental breakfast. Couples can take walk through the vines, have food and wine tasting or enjoy spa treatments. Package begins at $479 per couple. The South Coast Winery Resort & Spa offers an insider's look at wine country with the Temecula Wine Country Picnic Tour for Two Package. The all-inclusive, carefree day in the heart of wine country includes a behind-the-scenes tour of a local winery, air-conditioned shuttle transport, wine tasting tickets for the day, Value Passport for Two discounts on merchandise and outside wine purchases at various wineries, and a gourmet picnic lunch for two. A romantic villa with no common walls, a complimentary bottle of wine, fireplace, spa tub and peaceful terrace overlooking the vineyards is included with rates beginning at $399 for double occupancy. The Hampton Inn Temecula and the Quality Inn Wine Country in Temecula offer affordable rates on their website and various online travel sites. From September 15-19, 2010 the 16th Annual Temecula Valley International Film & Music Festival, sponsored by the City of Temecula, will screen more than 150 films and showcase at least 15 music artists from all across America and around the globe. Produced by the Cinema Entertainment Alliance, a non-profit arts and education organization dedicated to celebrating world cinema and music, the festival has screened more than 700 films from over 20 countries since 1995. Tickets for all screenings, concerts, parties and workshops are available beginning August 30 at www.tviff.com or by calling (951) 699-5514. For visitor's information, log on to the Temecula Valley Convention and Visitors Bureau website. Changing priortities takes a young woman on a journey to three countries to find what is really important to her life. The filming of these destinations could be perfect travelogues, and the story touches anyone who is looking for inner truth and peace. When I heard women sighing during this film I knew there had to be an Irishman in the mix somewhere, and Ryan Murphy's adaptation of Elizabeth Gilbert's best-seling novel was brought to life by his obvious sense of romance, as well as his outstanding skill with a pen. The fine acting of Julia Roberts and a fantastic cast of talented actors including James Franco, Richard Jenkins, Viola Davis, Billy Crudup and Javier Bardem was such a pleasure to watch. This is one of the most romantic films of the decade. Roberts is so real and touches a part of every womans personal experience, and it is ageless information regarding women seeking a perfect partner or traveling a perfect path. The leading men were outstanding, and I would swim to Bali for a dinner with Javier Bardem. His love scene with Roberts was like something from the good old days when the film technique of 'fade to black' was used by all the studios; proving that nobody has to take their close off, and you don't need to see a close up of tonsils, or view full lnudity to know what is happening. "I think it's time darling" said it all, and was all that was necessary to get the happy ending. Congratulations!! Thanks Brad Pitt and everyone involved in this lovely film, which I could see 100 times. The film is like a beautiful travelogue, with an amazing and romantic storyline.